Alec E. Hugunin, 24, of West Bend played his last video game on Sunday, November 25, 2018. He was born on May 3, 1994 in Virginia Beach VA. To Darcy Dart and Chad Hugunin. When Alec was 14 the family moved to West Bend. He graduated from West Bend East High School. Alec liked the ocean and traveling. He loved playing video games, watching movies, and listening to music. 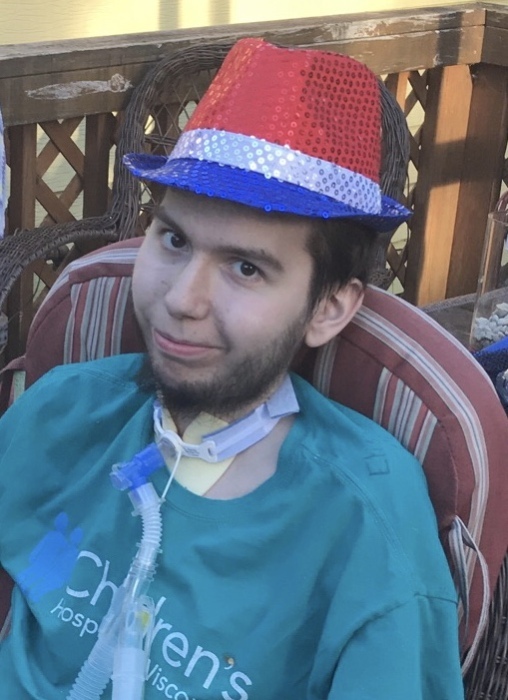 He conquered the video game Red Dead Redemption II shortly before his passing. Most of all, Alec enjoyed spending time with his family and friends. He will be dearly missed by all who knew him. Those Alec leaves behind to cherish his memory include his mother, Darcy (Tim) Dart; his father, Chad (Laura) Hugunin; two sisters, Saddie Hugunin and Carson Dart; two brothers, William Dart and Carter Dart; paternal grandmother, Margie Killmer; maternal grandparents, Rob and Roxy Robinson; a nephew, Jacoby Hugunin; and many other relatives and friends. A memorial service in remembrance of Alec will be held on Friday, November 30, 2018 at 5:00 p.m. at the Myrhum Patten Miller & Kietzer Funeral Home, 1315 W. Washington St., West Bend. The family will greet relatives and friends at the funeral home on Friday from 3:00 p.m. until the time of service. The family would like to thank the nurses and staff at St. Joseph’s Hospital, the emergency responders, and the West Bend Police Department for all their help and care.